Le Corbusier Grande Club Chair and Sofa (LC1,LC2,lC3)Our commitment to quality control assures that our Corbusier chairs mirror the original design from every angle. 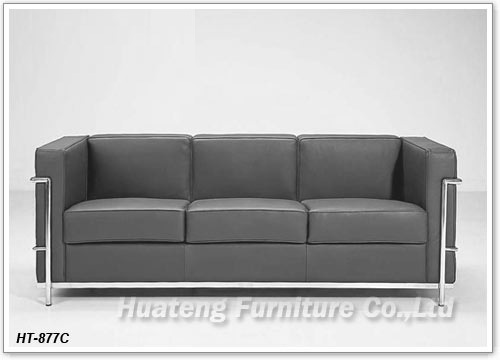 The cushions are made of multi-density foam for firm support and plush comfort. The sturdy frame is made of ultra-premium Stainless Steel polished to a mirror finish. Extra care went into assuring all welds and joints are completely smooth for beautiful clean lines.